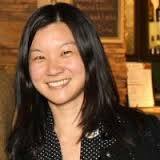 Christine Lee works at the Jet Propulsion Laboratory (JPL). JPL is managed by CALTECH for NASA. The laboratory's primary function is the construction and operation of robotic planetary spacecraft, though it also conducts Earth-orbit and astronomy missions. 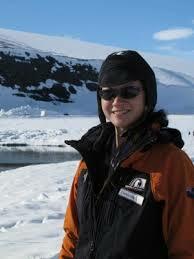 Christine is trained as a Chemical Engineer and then trained as an Environmental Engineer. Currently, she is a Scientific Applications Engineer. She assists with program management for NASA Water Resources Applied Research Activities. Christine also conducts research that uses different types of water quality data to monitor pollution in urban coastal zones. Christine has a BS in Chemical Engineering and a MS and PhD in Civil and Environmental Engineering - All from UCLA. Her doctoral research was on developing rapid methods to detect microbes at the beach and in stormdrains. She wanted to work in a career that allowed her to address environmental issues. Engineers also have a lot of freedom in their career path and they can solve problems in many situations. Engineering classes are really great because you get to see yourself as an engineer and apply what you learned to real world issues. Her favorite classes were Chemical Fate and Transport, Applied Ecology, and Applied Environmental Microbiology. The best part about her job is working with the Earth Science Community which is working to advance scientific understanding of earth processes and how things like carbon, water and energy are all connected. The types of problems that she solves involve providing better information to the water resources management community. This information is derived from satellites and other types of remote sensing assets.